Supporters of FETCH make an immediate difference in helping us to meet our goals. There is always a cost for us to build awareness, educate pet-parents about cancer prevention and support treatment through our Companions in Crisis program. It is with the help of Richmond and surrounding communities that FETCH works on behalf of all pets and their owners to help further education and treatment for companion health. Thank you to our many business partners who donate funds and services throughout the year! If you are interested in discussing our corporate sponsorship opportunities, please reach out! FETCH a Cure offers annual support packages and hosts various fundraising events, educational programs and awareness campaigns throughout the year. Various levels of corporate sponsorship opportunities are available and offer great marketing and promotional benefits for your business! Custom opportunities and partnerships can also be designed to reach your goals while supporting a great organization. 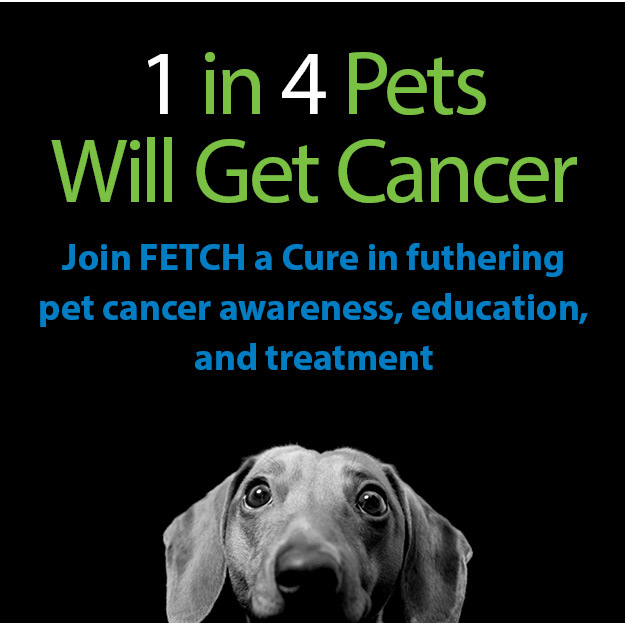 For more information on how you can become a part of the FETCH family, please contact Sarah Moseley at 804-525-2193 x.507 or sarahm@fetchacure.com. Don’t forget to ask about our event sponsorship opportunities!